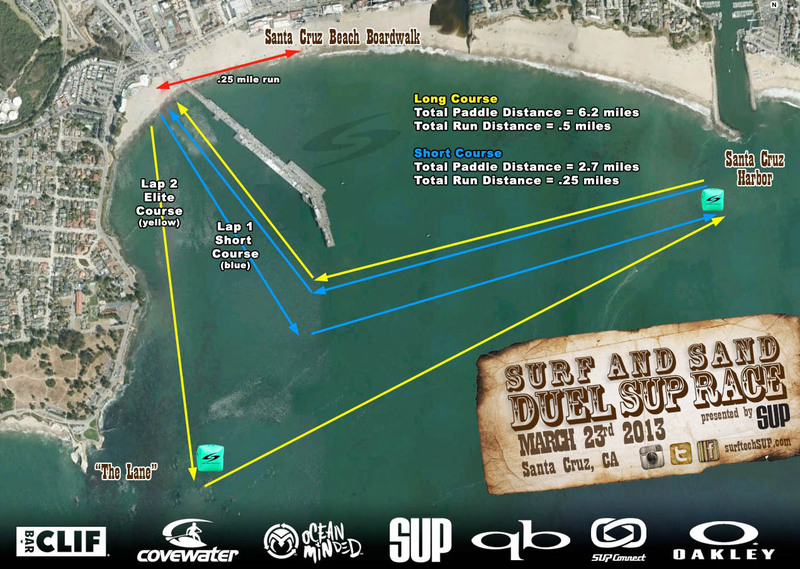 The Surftech Shootout and Surf and Sand Duel SUP Races will be bringing out the world’s top surfers and stand up paddlers. These Santa Cruz races offer a unique combination of elite paddleboard action and surfing. The prize purse is $2000 bucks. You can watch the action on a live webcast Saturday and Sunday, March 23 and 24. Surf and Sand Duel SUP, 9:00am Start. 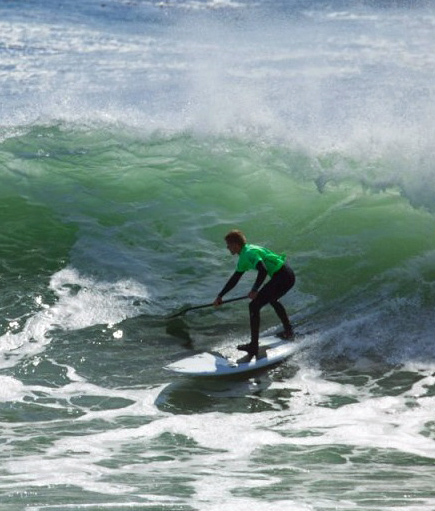 Cowells SUP Classic Round 1, 10:00am to 4:00pm. Shootout Final Rounds, 8:00am to 3:00pm. Race course. (click to enlarge).